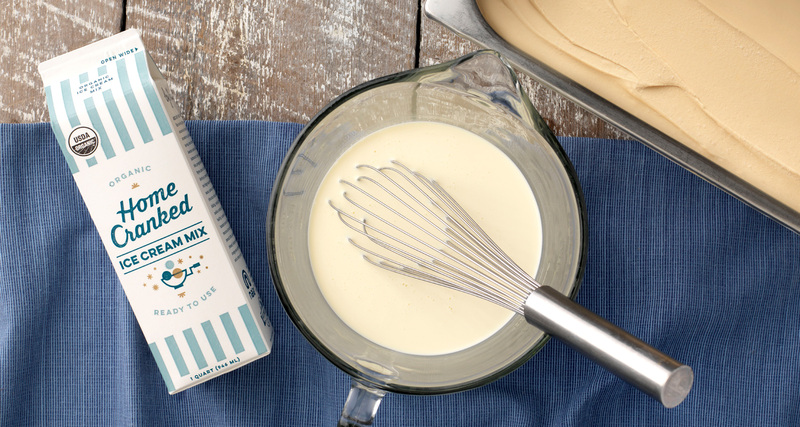 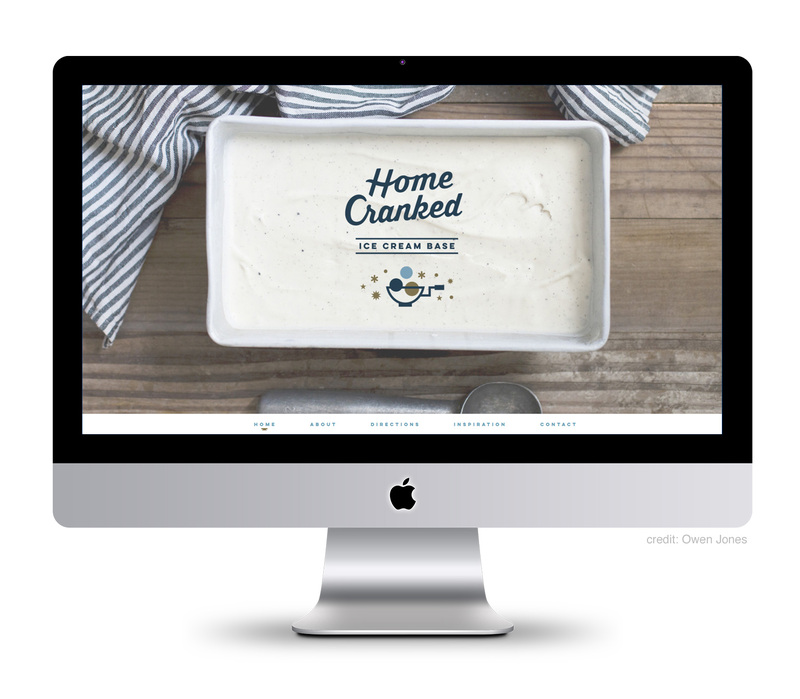 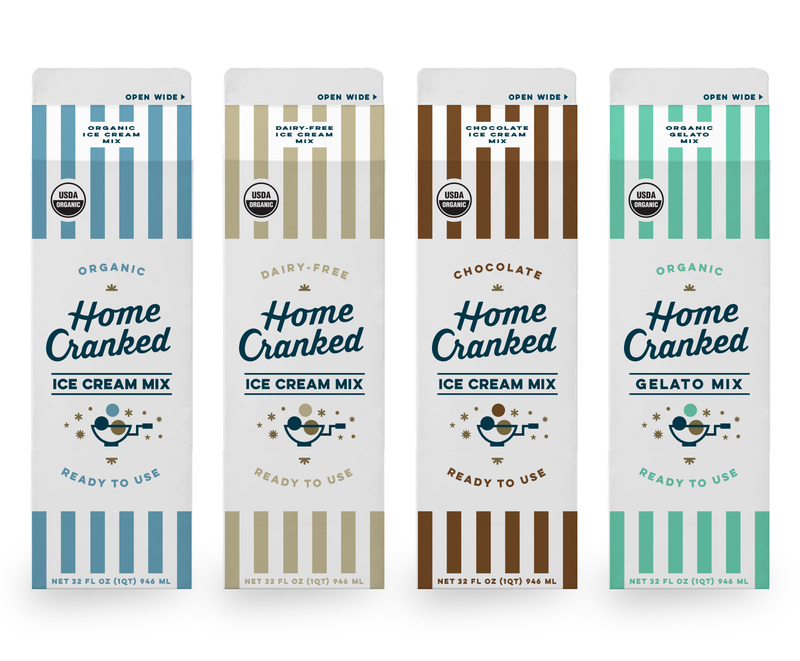 Home Cranked is an organic and premium quality ice cream base you can use to make any flavor imaginable – just mix in your choice of ingredients! 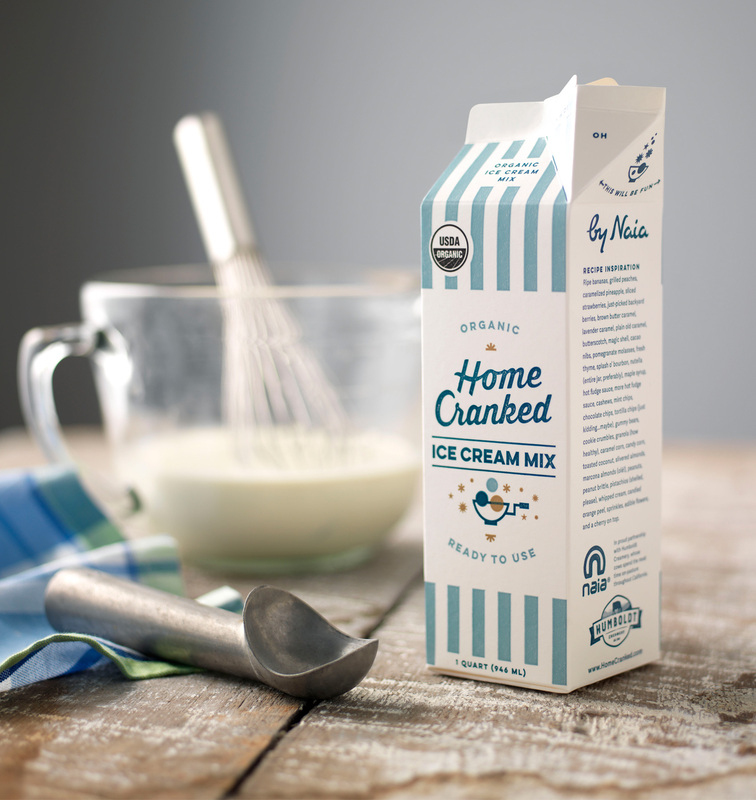 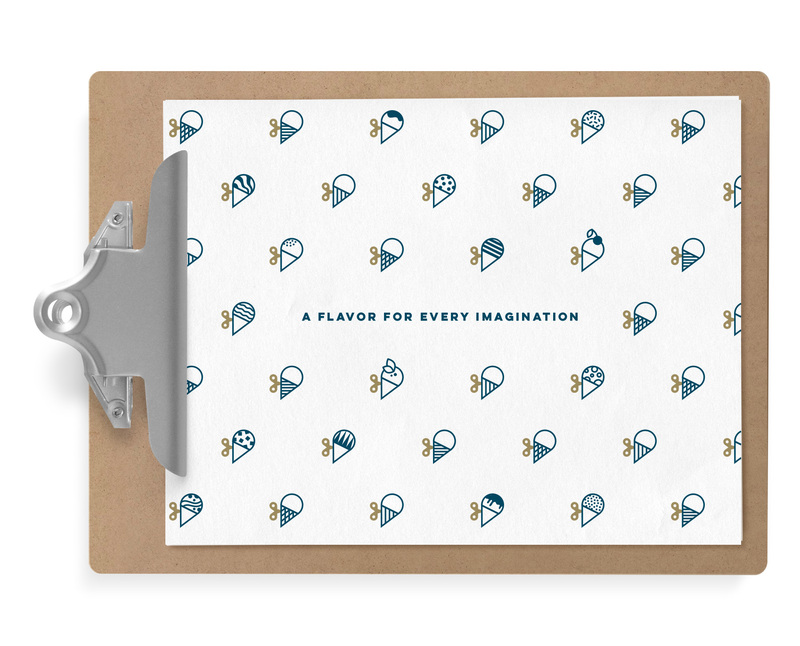 Designed to scream ‘ice cream’, the packaging needed to stand out on the shelf as an ice cream product as it was to be sold alongside milk in the refridgerated carton area of Whole Foods. 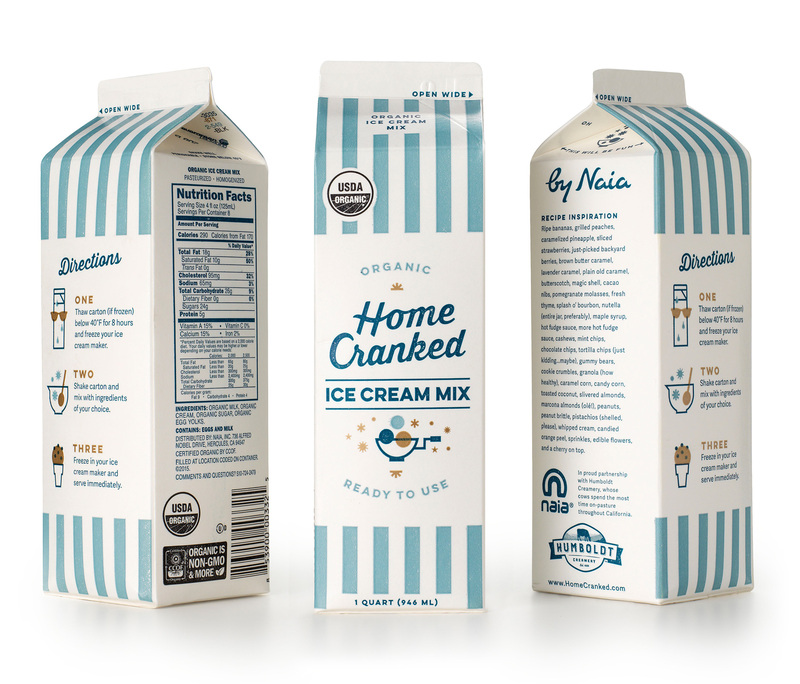 The series was designed to be flexible in accommodating future base flavors as well as taking into the account the limitations of printing with flexography.